Fact – A 35 pound dog could sheer off a human adult thumb with little to no effort, if they wanted to. Fact – Most dog bites are on par with kitchen and playground accidents. 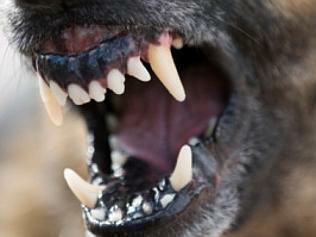 There are 4.5 million dog bites reported to emergency rooms each year (source: CDC). Roughly a few hundred dog bites require any major surgery or hospital stay. Fact – Most fatal dog bites are to children 12 and younger. 76% of dog bite fatalities fall into this category. Most of that 76% of fatalities associated to dog bites are to toddlers or infants.